I love this lip gloss. 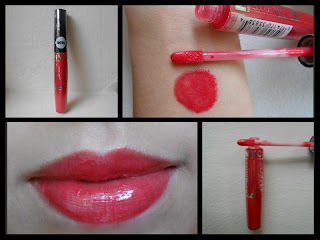 I find that NYC lip glosses are very good quality with a very good price. 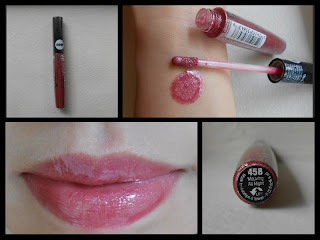 It is creamy, super pigmented, and a relatively long wearing lip gloss. These are not sticky but does have a tacky-ish feel. They wear well, better than my other glosses. The colors are of slightly sheer to medium opacity, but can be layered. Texture: This gloss is smooth, yet sticky. But it doesn't bother me. The tacky factor is what makes it stay put. 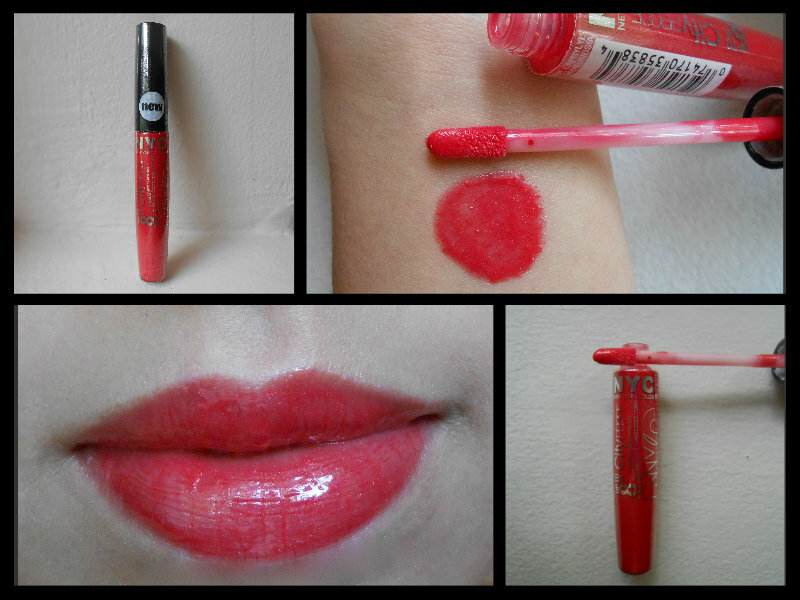 It is a touch drying, but most long wearing lip products are. It also has a vague, fruity scent to it that isn't too strong, thankfully. Lasting Power: This product claims to last for 8 hours but is doesn't. It last about 3 to 4 hours on me which is all I think you can expect from a lipgloss. I only need to reapply once over the course of the work day which rocks my world! This product stays on fairly well through eating and drinking, but you will likely need to reapply afterwards. It is not transfer resistant. Colors: Good range from pale, cool pink, to deep berry/plum, red to warm corals/peaches and browns/beiges. Most of the shades have a little bit of shimmer. This came in 10 different shades. Packaging: I like the flexible doe foot wand, you can get a good amount of product. I like that. This is a pretty pink/plum color, perfect for everyday wear. This is a very flattering blue-toned fuchsia red lipgloss from this line. This particular shade is super flattering and easy to wear.